Best Indie Book of 2017! Kirkus Reviews has named My Interview with Beethoven among its eight best Indie novels of 2017. 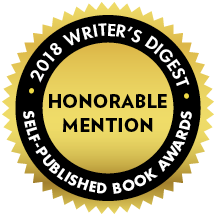 In October 2018, out of over 2,300, My Interview with Beethoven received an Honorable Mention from Writer’s Digest 26th Annual Self-Published Book Awards in the Historical Fiction category. Beethoven never received an award, but his story did. ONE MAN SEEKS OUT HIS FATHER. ONE MAN STRUGGLES TO REVIVE HIS FAME. ONE WOMAN’S LOVE BRINGS THEM TOGETHER. It’s 1826, and young Virginia newspaperman George Thompson leaves his unhappy past for Vienna, “the city of music.” His mission: Interview the composer, Ludwig van Beethoven. But George wants more than an interview. He wants to get close to Beethoven because he’s been told the composer is his natural father. By striking at the composer’s ego, George convinces the “Lion of Vienna” to put his work aside and share his life’s story. What transpires at the end of the interview turns George’s life inside out, and forces Beethoven to reveal a dark, personal secret. Based on true events, My Interview with Beethoven is an inspirational story of a young man’s journey to right wrongs, find love in unexpected ways, and heal the deep wounds of those he touches. My Interview with Beethoven can be purchased through these retailers.